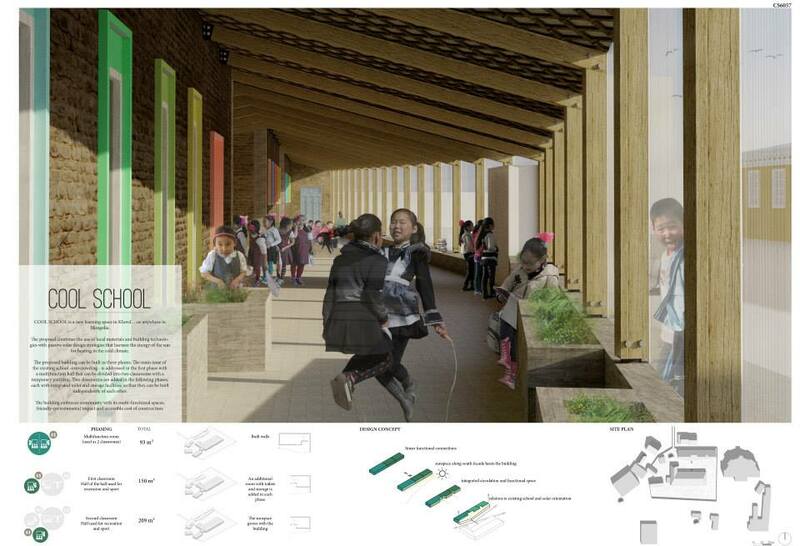 WINNERS of the Cool School competition Kyle Wylde, Nathan Woodward, Stephen Hawkins and Charley Burrough from UK Architectural practice PLACE By Design. 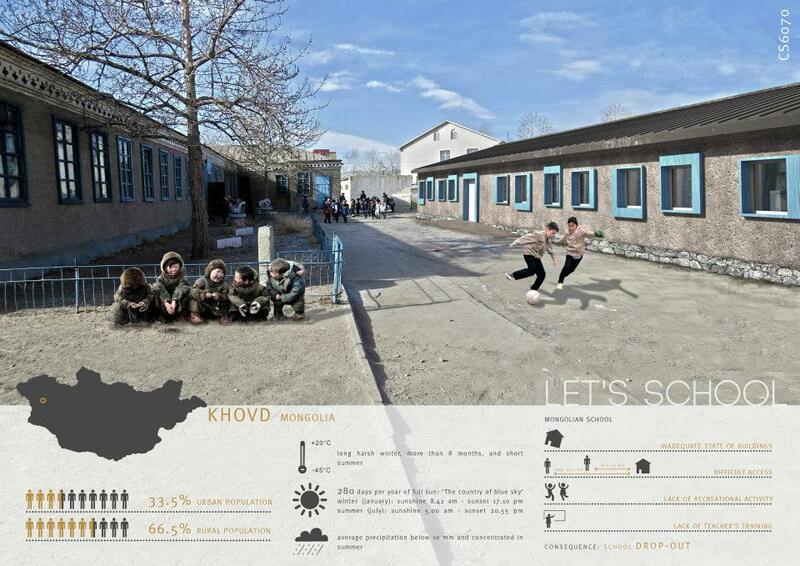 A diverse and enthusiastic Urban Design and Architectural practice based in Bristol, UK have been announced as the winners in a design competition that hopes to provide a safe, comfortable, learning environment for 100 pupils, withstanding extreme temperatures in Mongolia. 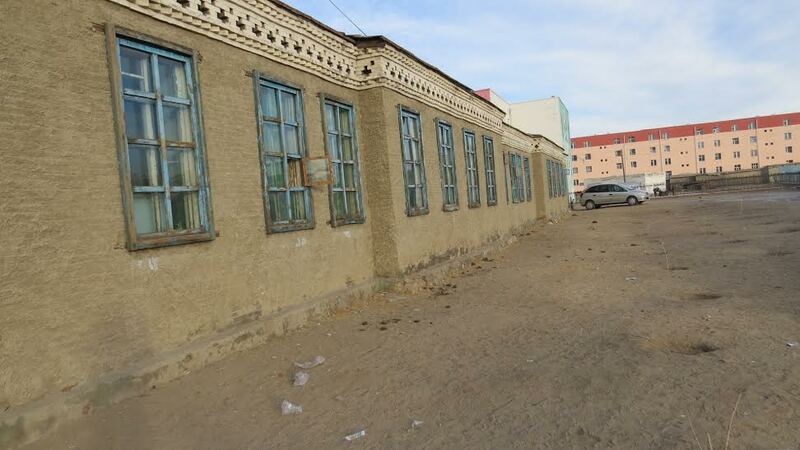 The competition had 475 registered entrants and a jury including representatives from Building Trust International, World Vision, UNICEF, The Mongolian Education Alliance, GIZ and most importantly the local Governor and school committee. 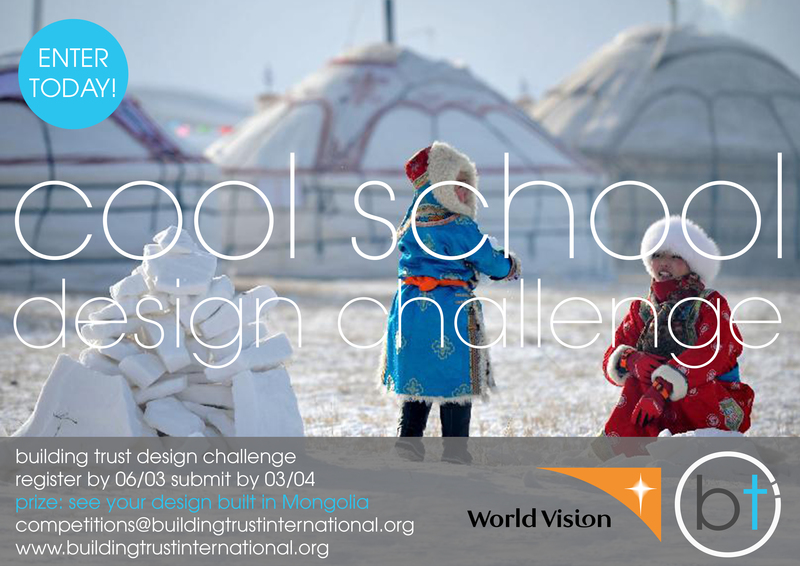 Building Trust international will be working closely with World Vision Mongolia and local partners to deliver the winning design during Summer 2015. 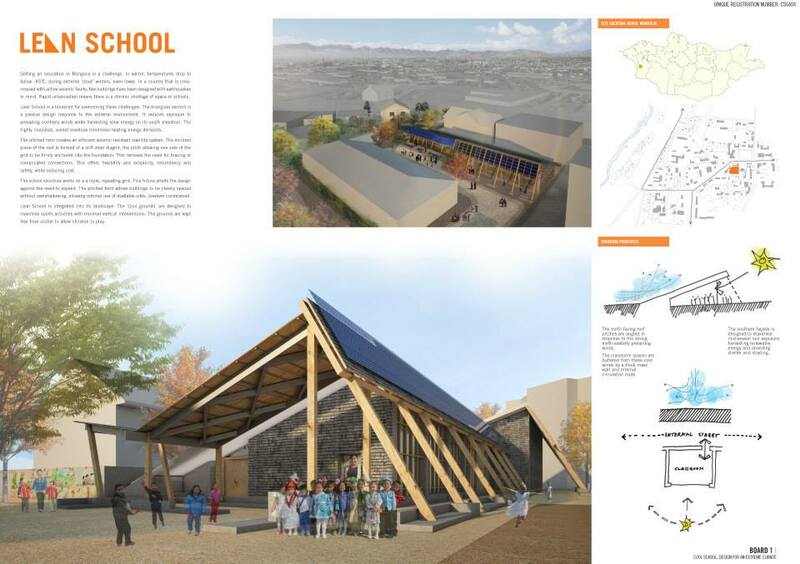 We look forward to building the winning design which will deliver a new innovative school design to a much needed community in Khovd, Mongolia. I will be posting updates live from the build which will be taking place this Summer. Maria Elena Beccaria Balduzzi and Martin Didžys based in Denmark. Ragy Aly Mostafa Elsayed Elgendy, Marwa Kamel AbdelHamid El Sayed, Merna Nabil Saad Henen, Aymen Jamal Mohamed Abdelmaksoud, Hebaallah AbdelWahab Mohamed Fathi and Lora Nabil Saad Henen from Pharos University in Alexandria, Egypt. I would like to thank all those participants who took part in such an exciting competition. 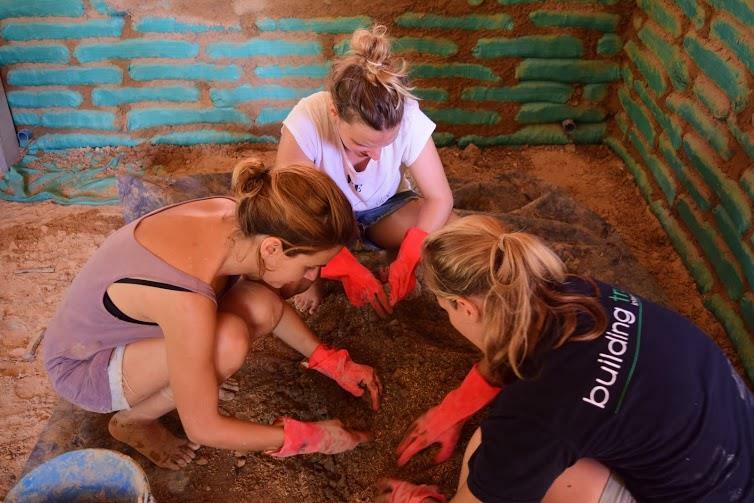 For 3 weeks in April, I had the fantastic opportunity to assist in hosting Building Trust’s latest design + build workshop in the Laos jungle. 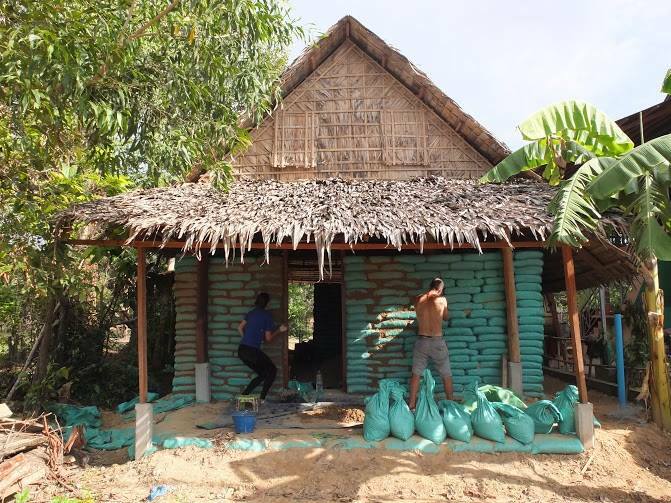 With a team of international volunteers, Laos workers and Building Trust staff we completed the build of an innovative fundraising merchandise store for Free the Bears. 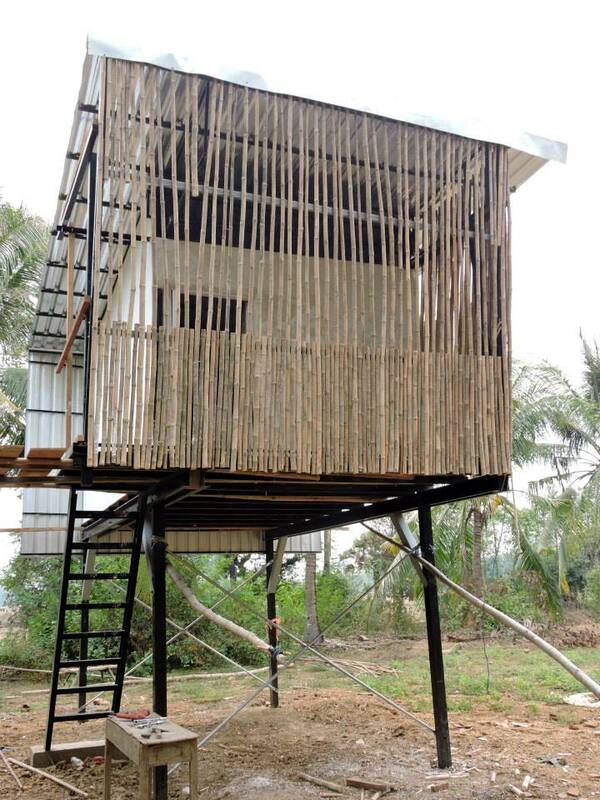 Following the construction of several built projects in South East Asia using natural materials and seeing the growing interest and response in sustainable design and natural materials such as bamboo. 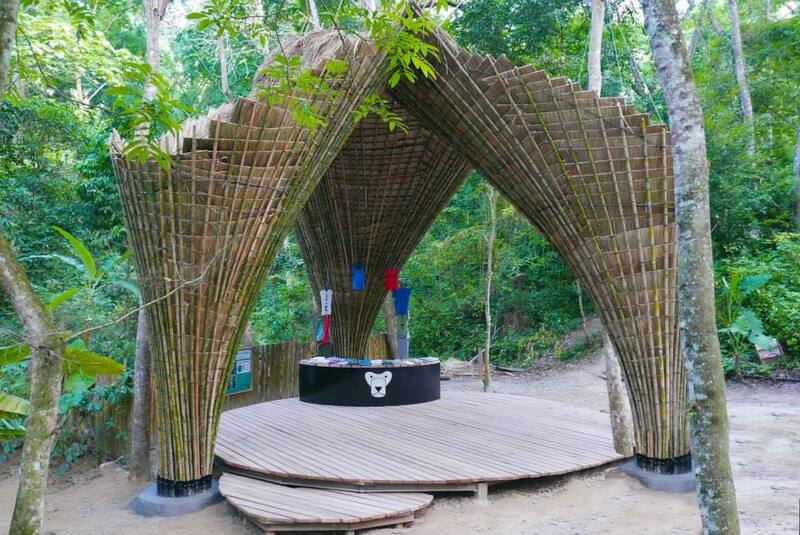 Building Trust organised a Design + Build workshop to be held at Kuang Si Falls on the outskirts of Luang Prabang with Free the Bears. 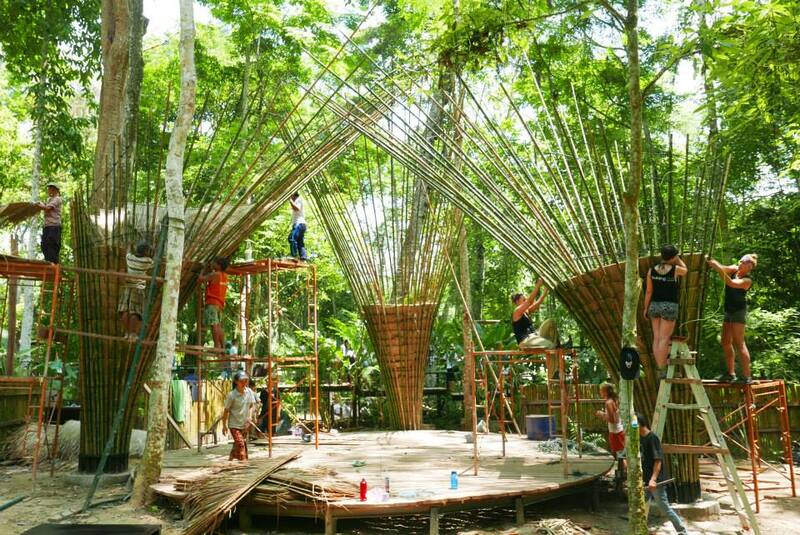 Working alongside Atelier COLE, a new merchandise store was designed and built which educates both workshop participants and the high volume of annual tourist visitors to the Tat Kuang Si Park on building with bamboo. Free the Bears work tirelessly to combat the illegal trade in live bears and provide a safe sanctuary for any rescued bears at Tat Kuang Si Rescue Centre. Most of the bears at the centre are Asiatic Black Bears (Moon Bears) that were illegally captured from the wild as young cubs. It is likely that they were destined for use in the traditional medicine trade. The merchandise store will enable Free the Bears to sell items such as T-shirts, in order to receive much needed donations to allow them to continue their ongoing efforts to protect bears in Laos and beyond. The fluted fountain like canopies protect the deck area by catching rain water and passing it through the gravel filled, hollow, circular foundation footings. 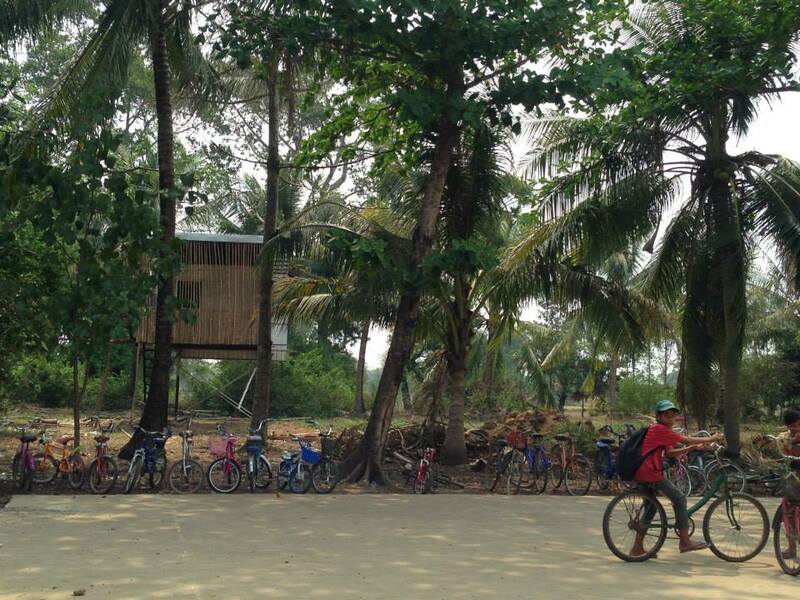 As with all Building Trust projects the Bamboo Trees project worked closely with the local community who in this case were Khmu. 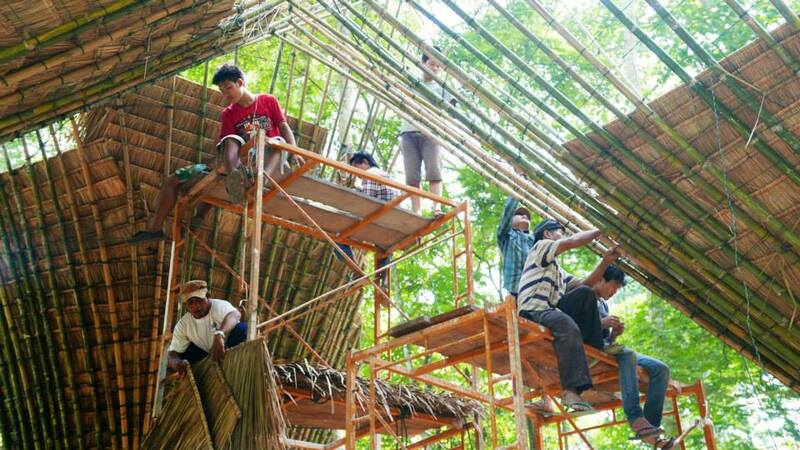 They assisted in sharing local skills such as bamboo, rattan weaving and palm thatching which were later used to develop the roof of the structure. 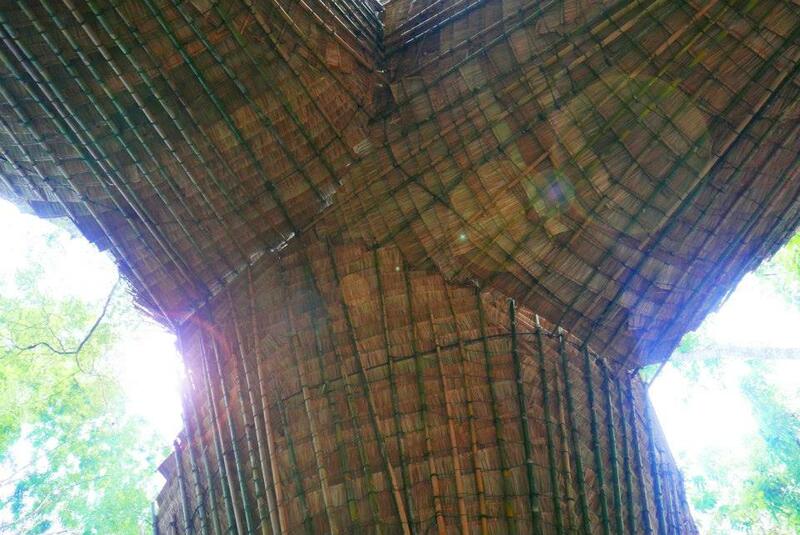 The bamboo is complimented by rope (around 10 kilometres) that spirals around the structure, weaving each piece together and creating strength from the whole. The resulting tensegrity structures lean against each other in a tripartite vault. 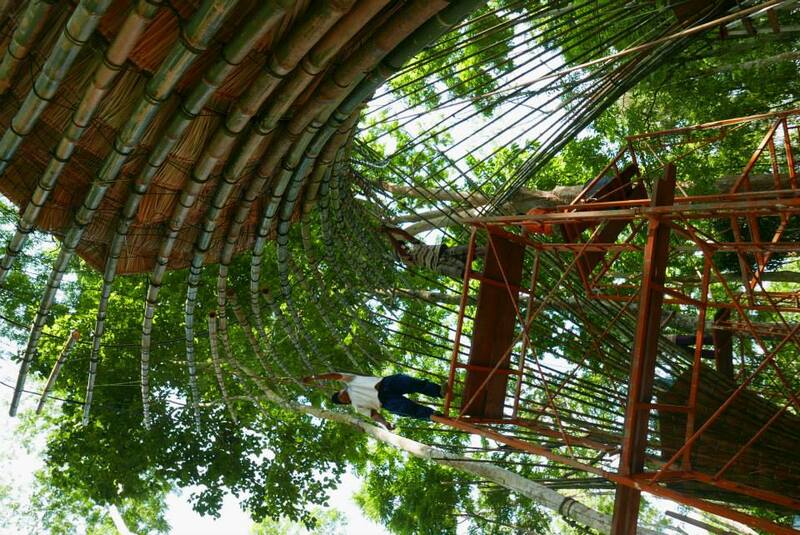 You can see more photos of the construction of Bamboo Trees Here and be sure to check out more about Free The Bears! 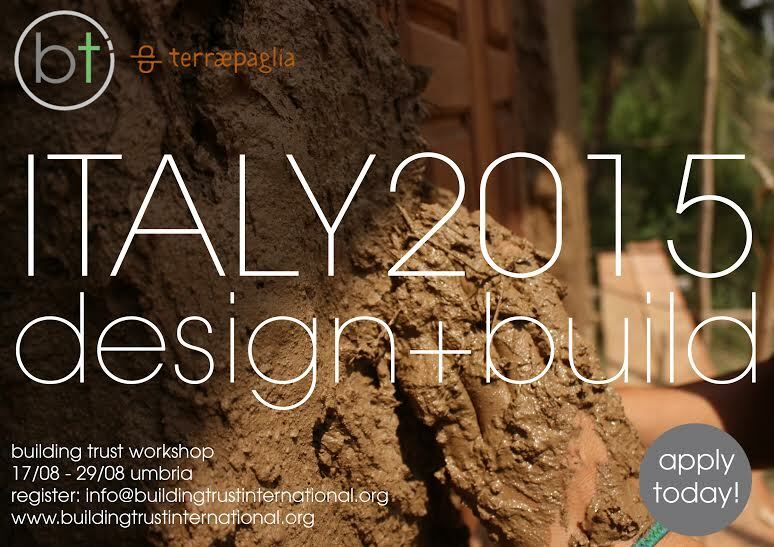 I am very happy to announce details of Building Trust international’s latest Design + Build workshop which will be held in Italy in August 2015. What will workshop participants learn? 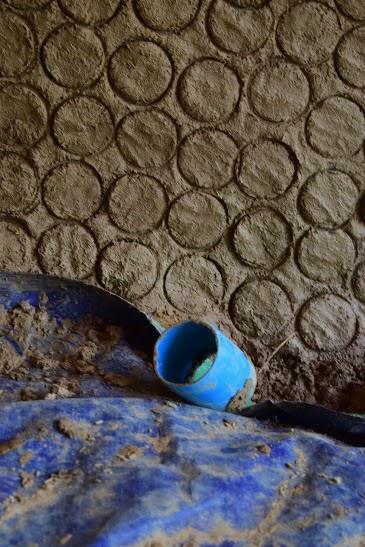 We are happy to announce that we will be working with “Terraepaglia”, a group of artisan handicraft experts who specialize in natural construction methods. 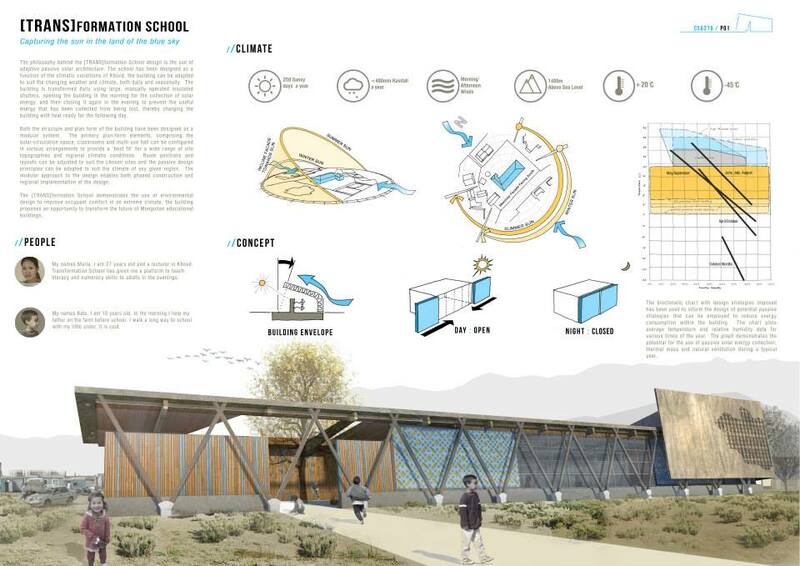 Along with creating innovative buildings from earth and straw, Terraepaglia aim to publicize and educate on the use of natural materials and local techniques, that are often considered obsolete and less efficient than modern techniques. 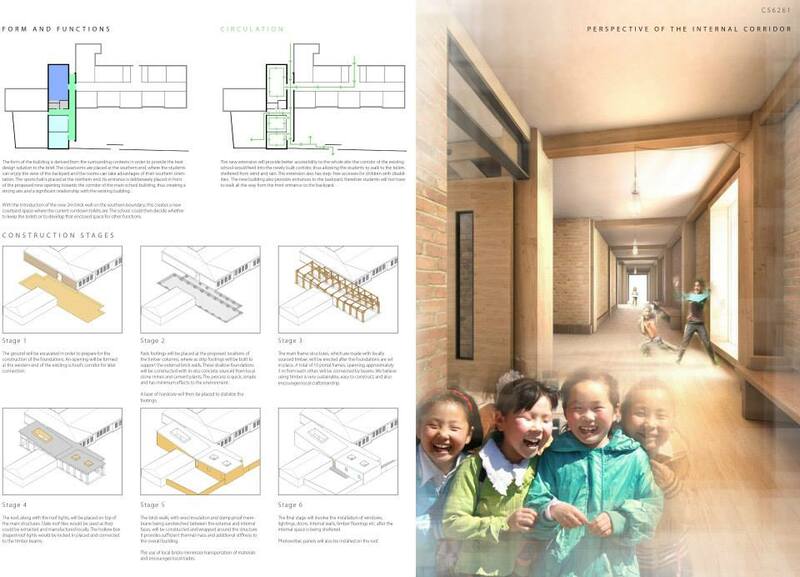 The value of this project is in the creation of functional spaces to communicate the importance of sustainable architecture, made of local reused materials. 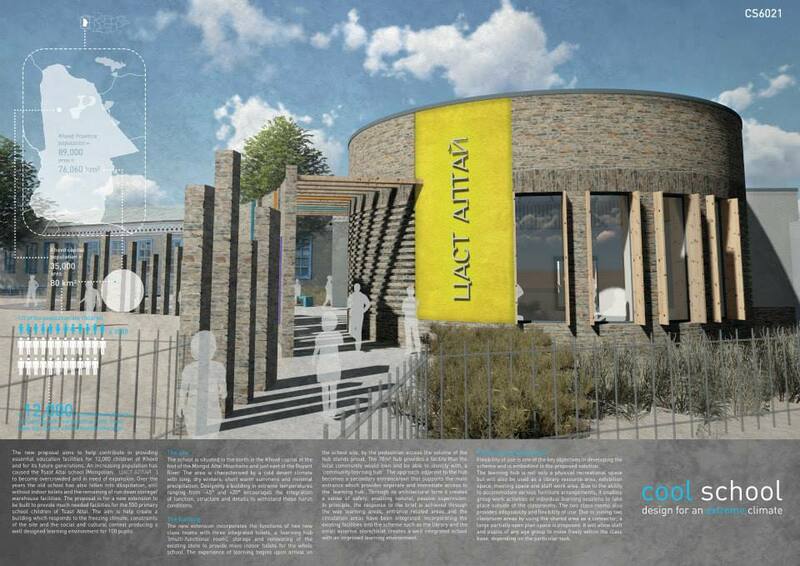 I look forward to updating on on the final week of the build with completed photos very soon. 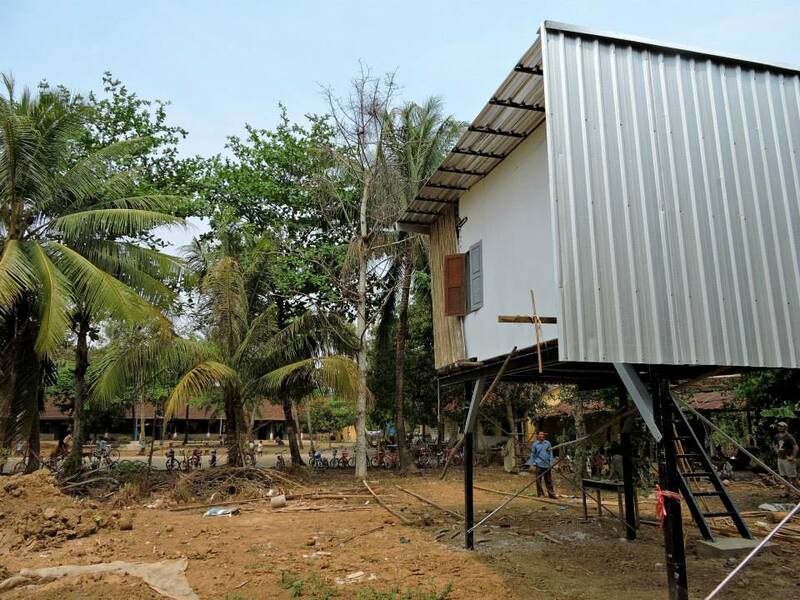 Bamboo, Bears, Boundaries and Building in Battambang! 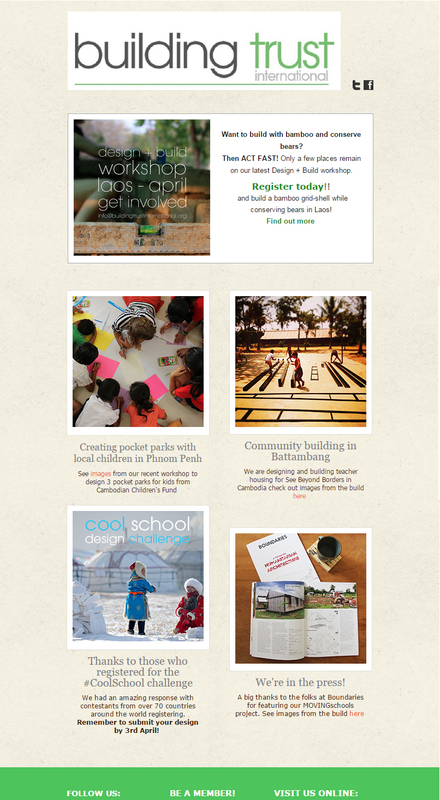 Our latest newsletter with details on our new Design + Build workshop in Laos, creating pocket parks for children in Cambodia, Community building in Battambang and more is out now! 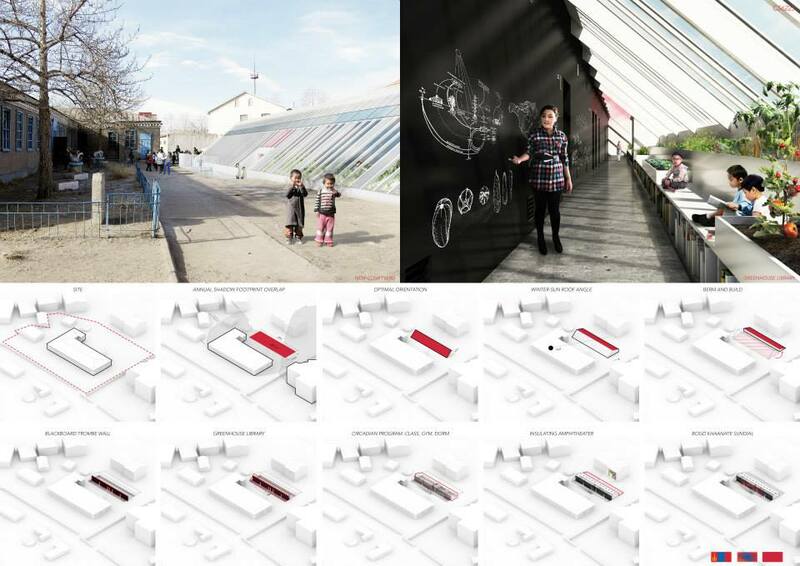 I am very excited to announce the launch of the 6th Building Trust design competition. 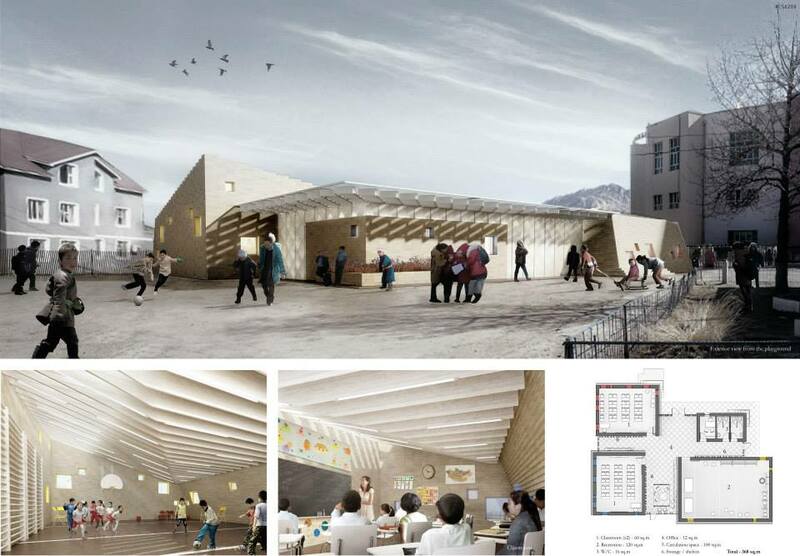 The competition entitled ‘Cool School’ challenges architects, designers and engineers to submit an innovative school design proposal that can withstand the extreme Mongolian winters. 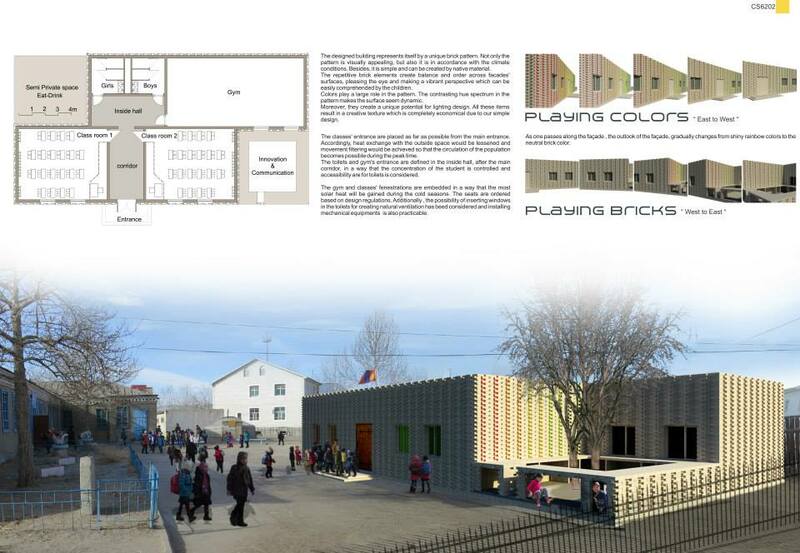 The competition challenges architects, designers and engineers to provide a design solution which has the chance to shape the future of school buildings across cold regions globally. 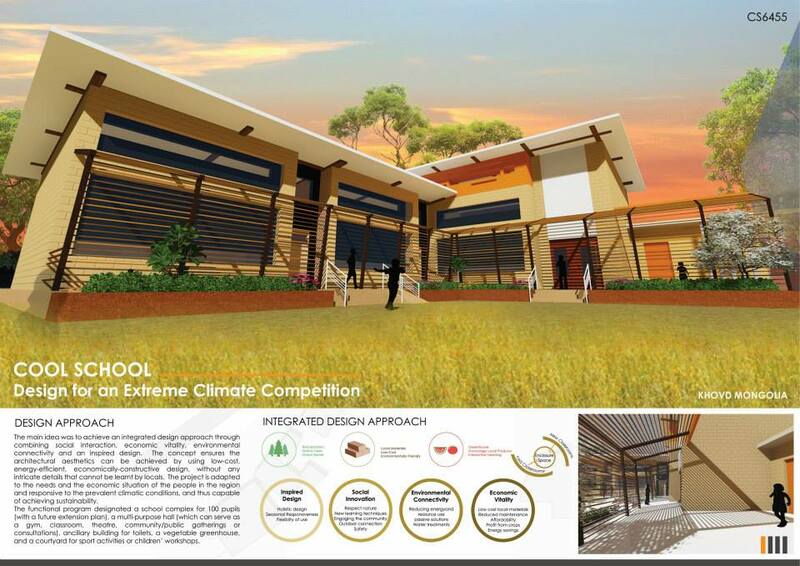 Contestants should consider environmental conditions, materials, space, comfort, accessibility, adaptability and aesthetics. 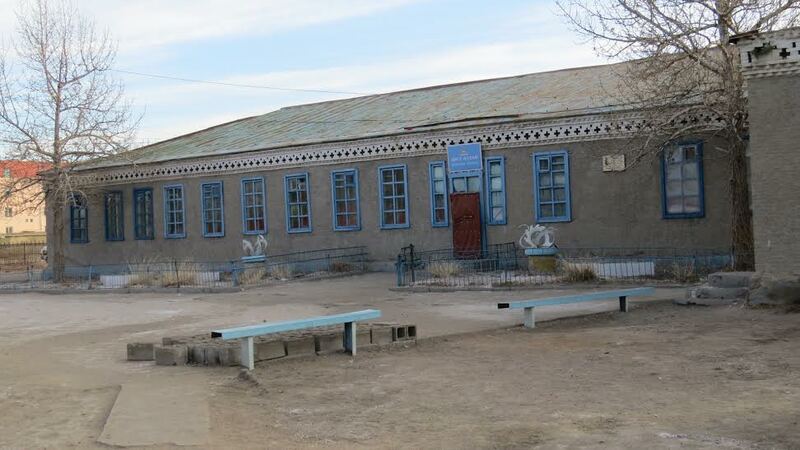 Building Trust international will work alongside competition partners, World Vision, local government and the school community in Khovd, Mongolia to build the winning school design. 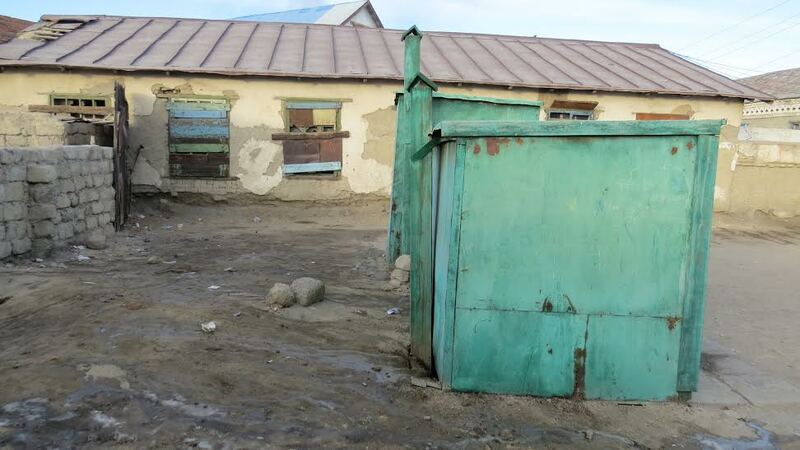 Images of the existing school building in Khovd. Keep an eye out for results which will be shared in May!